A game by Q-Games for PS3, originally released in 2011. 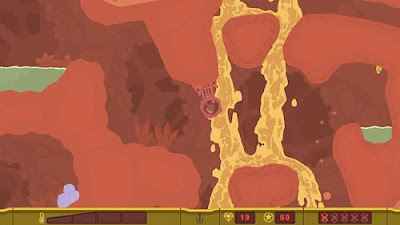 Q-Games introduced the PixelJunk label in 2007 with the release of PixelJunk Racers on PSN. 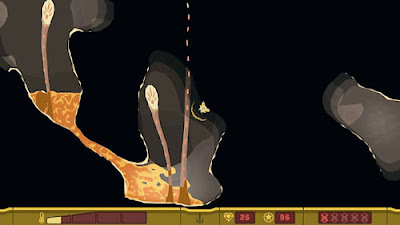 Since then, they have released several other PixelJunk games, each focusing on a different gameplay concept (these games are detailed in the 2D CRED section below). 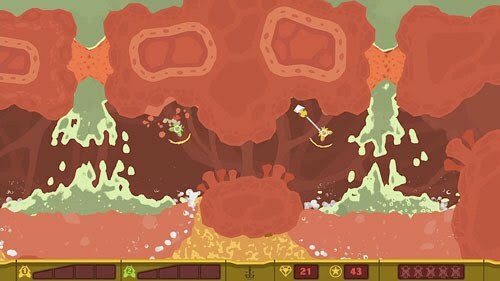 At the end of 2009, they released their 4th game in the PixelJunk series, a game called PixelJunk Shooter. 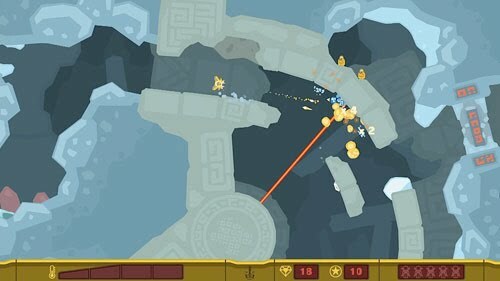 2011 marks the release of the very first sequel in the PixelJunk series, namely PixelJunk Shooter 2. The original PixelJunk Shooter features a ship that is working its way down into the depths of a planet to rescue trapped miners and scientists. The environment is filled with lava and water, and the game has a robust fluid dynamics engine that allows these liquids to flow, splash, and react to your ship and its projectiles. These substances are the keys to successful progression. You’ll need to use water to cool the lava (and your ship), and avoid being too hasty and accidentally unleashing a lava flow that might impede your progress or kill the unsuspecting miners. Later in the game, you are introduced to flammable gas, and you’ll enter cold areas where the water is frozen and you’ll need to use the lava to cut through it. 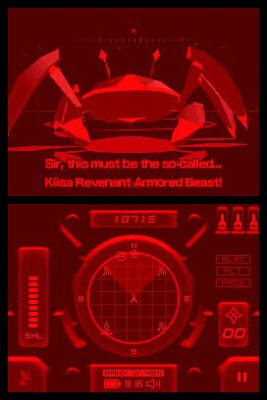 There are 3 boss fights as well, closing out each of the game’s chapters. PixelJunk Shooter 2 builds upon this basic foundation, but adds in a few new elements for the player to contend with. At the conclusion of the first game, the player awakened a giant creature, and was subsequently devoured whole. The opening areas of the sequel place the player’s ship inside that creature’s body, and one of the things that you'll have to deal with is the purple acid that spews forth from the creature's innards. Acid works similarly to lava in that it heats up your ship. As in the first game, you have a heat indicator, and if the heat level gets too high, your ship will spin out of control and eventually crash. With the heat of the lava, you could simply move away from the heat source to lower its effect on your ship, or you could submerge yourself in water to immediately lower your ship’s temperature. Acid, however, will cling to your ship, steadily raising its temperature even after you move away from it. So, it is imperative that you immerse yourself in water to wash it off. It’s not simply a matter of avoiding the corrosive substance altogether; rather, there are sections where you will have no choice but to drive your ship though it and then seek respite on the other side. And, unlike water, where you can fire your weapon straight through, acid will dissolve your bullets. You’ll also have to contend with bubbles and sand. When dealing with clusters of foaming bubbles, you will lose most of your control over your ship. To get through the environment, you’ll need to grapple onto nodes, swing yourself around, and fling yourself off in the direction you wish to travel (somewhat similar to the grappling gameplay in PixelJunk Eden). 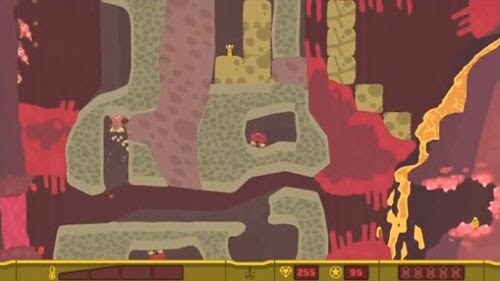 With sand, you can dig your way through with the “Hungry Suit”, navigating up, down, left, and right only (no diagonals), digging your way through the sand and attempting to avoid being crushed by huge rocks in some very Dig Dug-inspired gameplay. 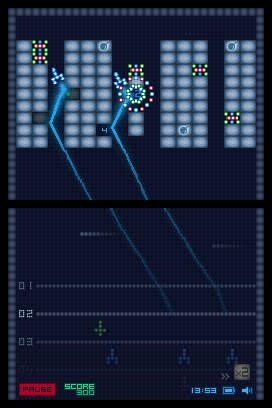 Even more interesting than this is the sequel’s use of a light and dark mechanic, which is the basis for some of the game’s more complex puzzles. Certain areas are completely dark, and you can’t just pilot blindly through, because if you remain in the darkness for too long, a swarm of shadow creatures will attack your ship and kill you instantly. Also, you can’t grapple onto people in the dark, so your rescue attempts will be futile unless you shed some light on the area first. You’ll need to find ways to get light down into these areas so that you may proceed, sometimes by simply flipping switches, and other times by manipulating the environment. There’s even a luminous ball that can be grappled and towed into the darkness, providing light to your immediate surroundings, but you need to be careful, because banging it against a wall will cause it to lose some of its luminescence. If it takes enough damage, it will go out altogether, leaving your fate to the shadow creatures unless you can make a mad dash into the light. There is also a sticky fungus that lines the walls of some of the caverns, and this fungus seems to have a life of its own. At first, it just seems to be there to impede your progress, since running into it with your ship will cause you to get stuck. But when combined with water, the fungus will grow and generate floating globs that interfere with your movement. Lava and water both make their return as well, and act in the same way they did in the original game. When the two combine, the lava is turned into a solid, and you can shoot your way through it. Getting too close to the lava will cause your ship to heat up, and getting too hot will send your ship out of control. If you’re not fortunate enough to veer into a pool of water (or have a friend grapple you to safety in 2P co-op), you can count on crashing hard. 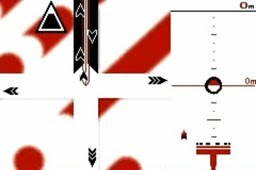 As before, control is dual analogue, with the left stick controlling the player’s movement, and the right stick controlling the aim. The left trigger fires your grappling hook and the right trigger fires your weapon. You'll be rescuing hapless “citizens” on your travels, or at least attempting to do so before they are killed by environmental factors (possibly caused by your own unwise meddling). And there’s also a heck of a lot more shooting going on in the sequel than there was in the first game. For players who may have been a bit disappointed that a game with the word “shooter” in the title didn’t focus more on actual shooting, Q-Games has remedied that by providing a lot more enemies and a lot more projectile dodging, creating a more challenging experience than the first game offered. And the player's firing rate has increased as well, making for a more action-oriented experience than the first game. Various creatures will pop out and fire at you; some will fire streams of bullets, and others will launch heat-seeking missiles. Since you’re traveling through the inside of a huge creature for part of the game, you will also encounter areas where shooting the walls will cause jets of purple acid to spew forth, making missed shots somewhat dangerous as well. And of course, just like the first game, you’ll get to contend with some old-school boss battles featuring patterns and exploitation of weak points. PixelJunk Shooter 2 adds competitive online play with numerous weapons and powerups, in addition to the cooperative same-screen play from the original game (no online co-op). There’s also a new score attack mode where players can record their runs and upload them onto the leaderboards as ghosts. We spent some time with industry veteran Dylan Cuthbert, who discusses originality in game design, the keys to making a game fun, and what sets the PixelJunk series apart from other games on the market. He also explains what led him to drop out of school and pursue game development as a career. Q-Games is based in Kyoto, Japan, and was established by Dylan Cuthbert and Kenkichi Shimooka. 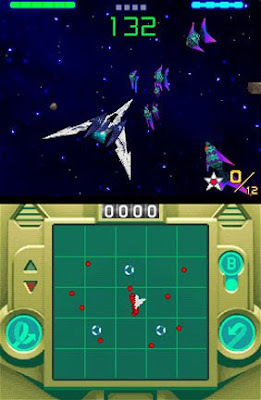 Cuthbert is known for his work on the original SNES Starfox, and its unreleased sequel during his time at Argonaut Software, as well as the Japan-exclusive GBA title, X. Later, he joined Sony where he worked on the original Ape Escape, along with Shimooka, before founding Q-Games. Q-Games partners with both Sony Computer Entertainment and Nintendo to create mostly downloadable titles, although they did create some boxed titles for Nintendo early in their lifespan. They have also worked on a number of technical demos, music visualizers, and the like, toying with the abilities of various hardware. Much of Cuthbert's previous experience was as a technology developer. In regards to the PixelJunk series specifically, Q-Games was involved with Sony Japan doing tech work for the PS3 when the Playstation Network was first created. Cuthbert was interested in creating games for the service, but he didn’t want the titles to get lost in a potential sea of downloadables that would eventually be available on the service. And so, he came up with the idea of creating a “series” of games that shared a common name (i.e., PixelJunk), so that fans would be aware that the games were of the same pedigree, even if they weren’t technically related. And so, the PixelJunk brand was created, which also meant that the team could call the games anything that they wanted, since they alone could toss the word “PixelJunk” onto the front of any of their releases, thus avoiding issues where a game might have to be released under different names in multiple territories (as some of their other titles have). The term originated from a username that Cuthbert once used in their Japanese gaming blog. Q-Games got its start in 2006 with the release of one of Nintendo’s 7 bit Generations titles on the GameBoy Advance. This series of games offered simple stylized visuals (or almost no visuals, in the case of Soundvoyager) and basic game mechanics, in something akin to an art house gaming experience. Sadly, these games were only released in Japan, although the English menus, easy-to-understand gameplay, and lack of a region lock led a number of U.S. gamers to import them. 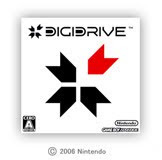 Q-Games is responsible for bit Generations: Digidrive, which can be roughly described as a visually attractive traffic-directing puzzle game. Gameplay takes place over an intersection where various icons (representing cars) enter the screen, and the player must use the D-pad to direct the icons into the proper slots in one of 4 directions, stacking them to build up a multiplier. Stacks of 5 like icons give the player additional “fuel”, allowing him to continue, until he eventually makes too many mistakes and runs out of fuel, ending the game. The game did eventually make its way to the U.S. via DSiWare, with Nintendo’s update to the series, called Art Style. 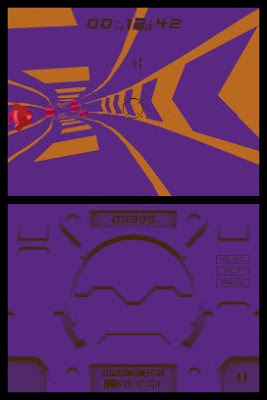 The gameplay in Art Style: Digidrive is the same, but the game was given a visual facelift when it arrived on the new hardware. Around the same time as Digidrive’s GBA release, Q-Games also released Star Fox Command on the DS, for which Cuthbert was able to use his previous experience with the series, and his technology-oriented background, to bring the game to life on the DS. The game is, of course, presented in 3D, and it’s meant to not only show off some of the capabilities of the system, but also to return the series to its roots. 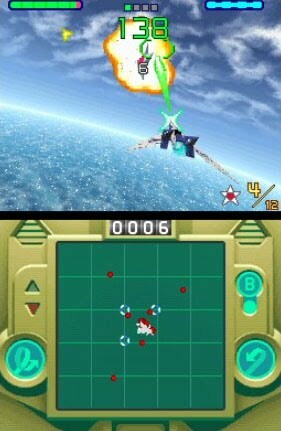 Namely, it was meant to continue the legacy left by the original Star Fox and Star Fox 64, focusing on flight combat, rather than the on-foot explorative shenanigans introduced in Rare’s GameCube outing. The whole game is flight-based this time around, and the levels consist of free-roaming arenas, rather than on-rails shooting segments. Players traverse 3D environments, seeking out and blasting enemies, destroying specific targets, and collecting stars. Ship movement is controlled by use of the touch screen, allowing for precision aiming, as well as basic flight controls. 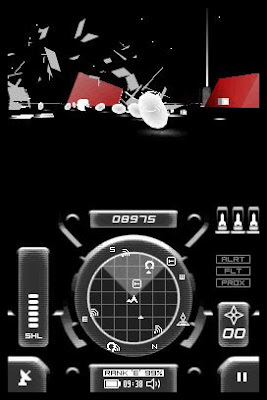 Double-tapping certain areas of the screen allow players to give the ship a quick boost of speed, or put on the space-brakes. Scribbling back and forth causes the ship to perform a barrel roll. As is usual with this sort of game, some of the controls work very well (like aiming), while others are under-responsive (boosting and braking) or over-responsive (barrel rolls). A year later, Q-Games introduced the PixelJunk series to PSN, starting with PixelJunk Racers, a top-down slot car racing game, reminiscent of Super Sprint. The player controls only the accelerator and brakes, and can steer only left or right (relative to the direction the car is facing). Due to the arcade-style nature of the game, it’s very easy to pick up and play, but doesn’t offer as much depth as some of Q-Games later entries under the PixelJunk label. Players may work their way through multiple tracks in single player and multiplayer tournament modes. Rather than outright racing, the game features a number of minigame-style modes. These comes in the form of 32 challenges, such as a mode where you inflate your car like a balloon and launch it quickly around the track as it deflates, challenges where you must pass cars to build up a combo and achieve high speeds, and others where you must try hard to avoid hitting other vehicles. Next up is PixelJunk Monsters, which moves in a near-opposite direction in terms of gameplay, offering a strategy-minded tower defense game rather than arcade-style racing. 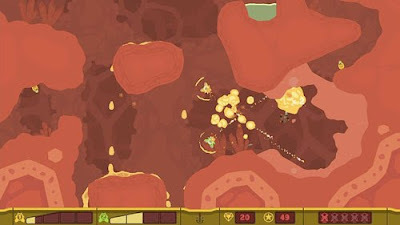 PixelJunk Monsters was one of the early games in the tower defense genre behemoth that has since spread its seed through every possible gaming avenue. As per genre conventions, you build towers to protect your tribe of goodnicks from an invading army, which in this case consists of monsters of various sorts. Each time a monster manages to make it past your defenses, it will eat one of the poor creatures within. You build towers in trees, collect coins from fallen monsters, and build more towers. You can spend your resources to research more powerful armaments (such as cannons, and even lasers) so that you can construct stronger towers that can deal out more damage to your monstrous foes. Towers will fire upon any monsters that are in range, and eventually you’ll face off against huge boss-class monsters that will slowly march toward your fortress, and which can do continuous damage to your critters if they manage to penetrate your defenses. PixelJunk Monsters appeared in several iterations, with an expansion pack called PixelJunk Monsters Encore, and a PSP-specific version called PixelJunk Monsters Deluxe, which offered quite a bit of new content. The PSP game was originally released as a downloadable title, but also had a UMD release later in its life. The game was later released on Vita with updated visuals, touch controls, and co-op gameplay as PixelJunk Monsters Ultimate HD. 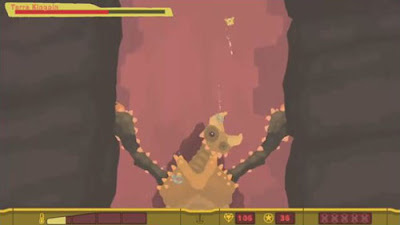 PixelJunk Eden was the third game in the PixelJunk series, and once again it is very different from the previous games that carried the PixelJunk label. Eden is a very free-flow game, lacking the rigid structure or progression seen in other games, playing out somewhat along the lines of thatgamecompany’s flOw. The game sees the player tending to a number of starkly-designed gardens. Players explore the area looking for glowing Spectra, which help you to grow new things in your private Eden. You’ll collect seeds and pollinate them, eventually bursting them apart to grow into a new part of the level. The player controls a little guy called a Grimp, which the player can send jumping around the environment, using the left analogue stick to set a trajectory, and then flinging him off into open space. The Grimp will automatically latch onto anything it touches. You can also tether yourself onto objects and swing around them to grab collectibles and fit into tight spaces that might not be accessible by a direct jump. The simple controls and bold environmental designs give the game a fairly relaxed feel. There are a handful of enemies that will interfere with your progress, but they can’t actually kill you (there is no health gauge). However, since the levels have a time limit, they might frustrate your attempts by knocking you off course or making you miss a time-extending gem, thereby potentially bringing your play session to an early end. Gardens become more complex as the game goes on, requiring more precise control on the part of the player to navigate the environments, and building upon the lessons that the player has learned along the way. Also, each of the environments is connected to one another, opening from one to the next via portals. So, while you are navigating through specific levels, you’re not exiting out to a menu system, selecting a new level, and then moving on. You are instead slowly building your way toward the end of the game, growing your Eden so that it allows you to access the next portal and continue. 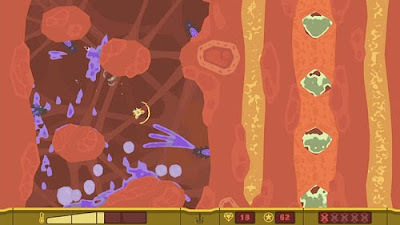 As mentioned, PixelJunk Shooter has the player controlling a ship that must traverse various underground environments and rescue miners and scientists. At the outset, the player will need to learn how water and lava interact with one another, and with the ship. 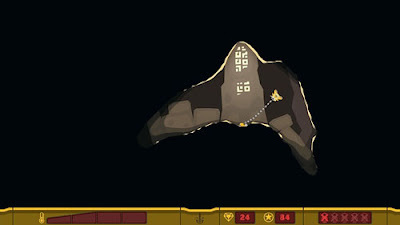 If the player stays too close to the lava for too long, or touches it, his ship will heat up. 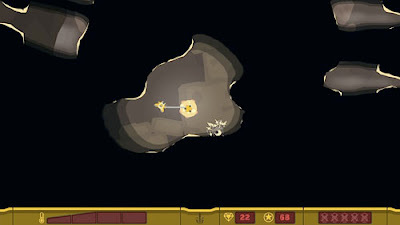 The player must move away from the heat source to cool down slowly, or submerge the ship in water to cool off immediately. Also, when water and lava come into contact with one another, they form a solid, and the player’s ship has the ability to shoot through it. Of course, the player also has to be careful about exactly when and where he unleashes a flow of lava, since it’s quite possible to accidentally fry one of the miners that you’re there to rescue. Later in the game, you’ll encounter a flammable gas that can be ignited and which creates a chain reaction of explosions throughout the entire cloud. And you’ll also encounter ice, which you can melt using lava, or by reflecting lasers into it. And you'll eventually encounter a mysterious black fluid that appears to be attracted to your ship... at least until you pick up an anti-magnetic powerup that repels it. While you’re certainly free to get blast-happy and charge through the environments, there are a number of hidden gems to collect, as well as some hard-to-reach areas and hidden passages. The game has a story as well, which will only be fully revealed if you make an effort to rescue all of the miners (even the hard-to-reach ones). And there are 3 pattern-based bosses to contend with along the way. Concurrent with the development of the PixelJunk series, Q-Games continued to develop for the DS, offering a number of titles for Nintendo’s DSiWare service. 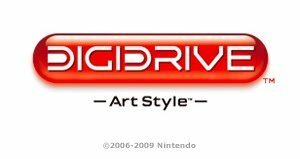 The first of these DSiWare titles was Art Style: Digidrive, a port of their GBA Bit Generations title (outlined above). 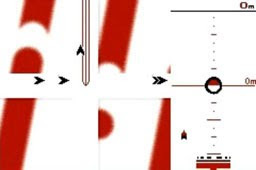 Following soon thereafter was a Breakout-style game called Trajectile (released in Japan as Reflect Missile). 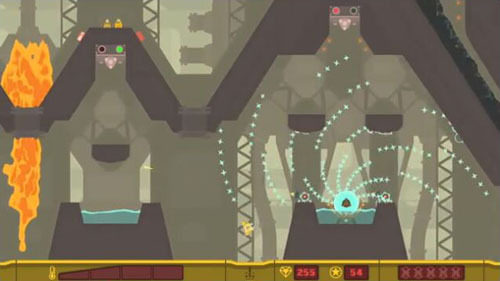 In this game, the player uses the touch screen to direct missiles to destroy the blocks in each level. However, the number of missiles given to the player is limited, so there is some strategy in regards to completing each level without depleting the supply. There are several types of missiles, including ones that bounce around the environment, ones that drill straight through multiple blocks, and exploding missiles that take out all blocks within a given range. 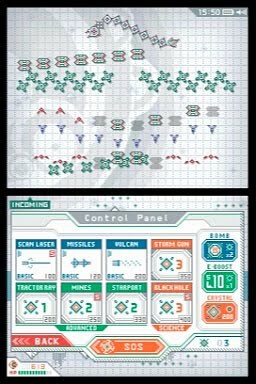 Next up on the Q-Games’ DSiWare menu was a tower defense game known as Starship Defense (a.k.a. Starship Defender in Japan, and Starship Patrol in Europe). This time around, rather than fending off monsters in a forest, you’re defending a starship from an invading armada. 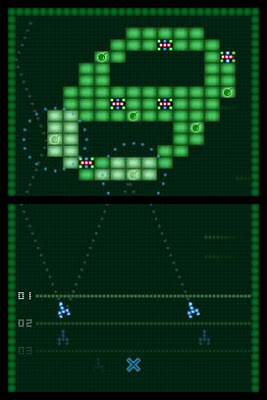 The game’s levels are actually different areas of the starship, providing different layouts. The game is designed to look like it is being played out by sketches on graph paper. 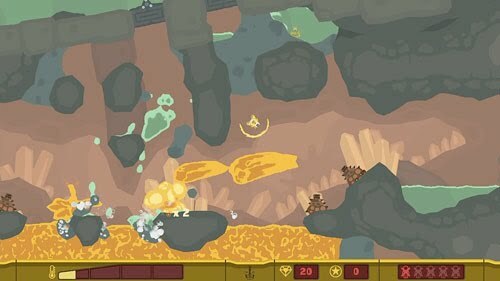 Destroyed enemies leave behind energy balls that float down toward the bottom of the screen. Grabbing them with your stylus adds them to your inventory, and the energy can be used to develop new weapons. You’ll go from attacking rows of individual ships to taking on huge boss ships at the end of each level. And finally (at least in terms of the games that preceded PixelJunk Shooter 2), there is X-Scape. The game is known as X-Returns in Japan, as it was a sequel to an Argonaut-developed Japan-only GBA game called X (which Dylan Cuthbert worked on). Just as in the original, X-Scape is a first-person tank shooter. 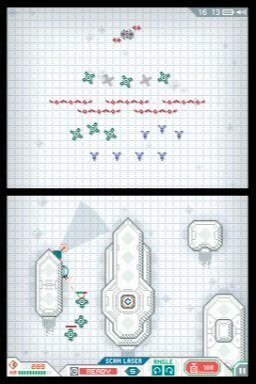 However, the power of the DS allowed Q-Games to create a much more fast and fluid game. 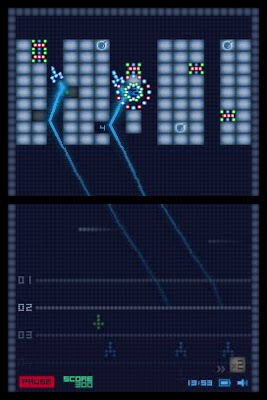 The game uses a simple yet striking visual design to allow for fast and engaging gameplay, without overtaxing the 3D capabilities of the DS, and still fitting within the small storage space allowed for DSiWare games. Each world has a different basic color, which permeates the design of the levels. The top screen shows the action, and the controls are done via the touch screen, with firing relegated to the D-pad or buttons. Pressing the stylus toward the top of the touch screen will send you dashing forward quickly across open alien-infested environments and through tight WipeOut-esque corridors as you hunt for crystals that will allow you to travel to the next world. This is an action-adventure title, so rather than just moving in a straight line and killing everything, you’ll need to do some exploration, locate computer terminals, uncover the game’s back story, and even return to previously-visited planets.